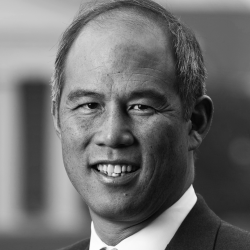 Andy Chan is the vice president for personal and career development at Wake Forest University. As the first career development professional to receive a vice president position in higher education, Chan is leading the transformation of traditional career services to a completely new paradigm. He leads the Office of Personal and Career Development, which includes personal and career development, a mentoring resource center, professional development for arts and sciences, leadership development, a family business center, and a center for innovation, creativity, and entrepreneurship. He serves as a senior staff member for Provost Rogan Kersh and also on President Nathan O. Hatch’s cabinet. Chan has served on strategic task forces at Menlo Park Presbyterian Church and led small groups of adults and students. He is also the board chair for Sports Challenge, a Christian mentoring ministry for Stanford athletes.